You’re invited! 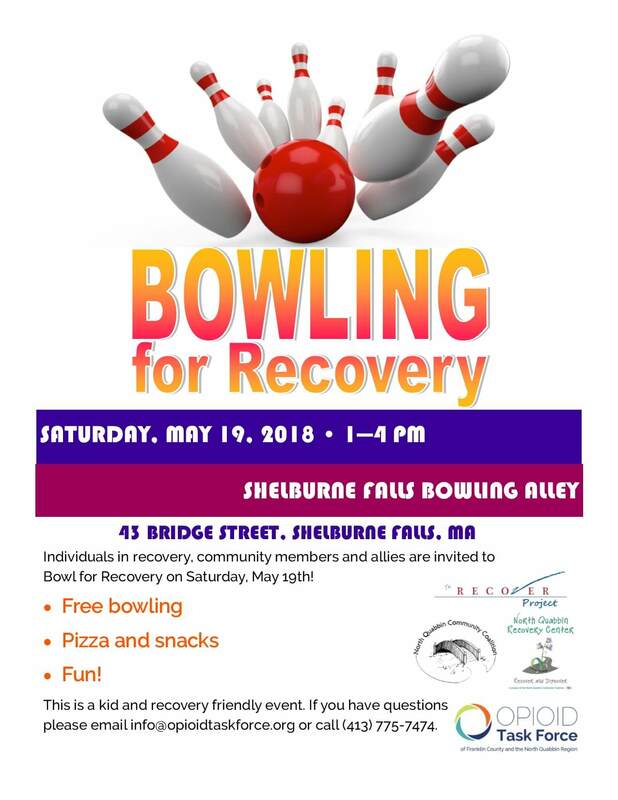 Join us on Saturday, May 19, 2018 from 1—4 PM to Bowl for Recovery! Individuals in recovery, community members and allies are all welcome to attend. This is a kid and recovery friendly event. If you have questions, please email info@opioidtaskforce.org or call (413) 775-7474. Drop-off will be provided after the event as well. If you would like transportation, please email info@opioidtaskforce.org or call (413) 775-7474 so we know how many seats to provide.